How Many Lines Should I Play in Video Slot Machines? I can’t say that I was born in a casino; however, I can really say I’ve spent many adult years in them and I’m not even that old yet. Casinos are such intricate worlds, where one could travel and never get tired of exploring. So even I, who was so familiar with them, one day entered the area of slot machines and stayed in that country for a long time. I got crazy in love with them and after a lot of harassment, from my part to the nice casino staff; I now know how to hit the video slot machines and know my way around them. 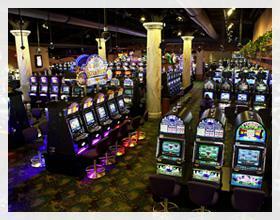 There are many kinds of video slot machines and they’re all played very similarly. Once you master the functions of all the buttons and how to read the payout tables, you’re set to play any game. Always remember that if there’s a machine you can’t understand; the casino staff will help you out, just like they, “very patiently,” helped me. Before you play, you should take a minute or two to read all of the information on the payout table. You will be able to find the information on the game payouts. It might also contain the bonus features and betting requirements. Ultimately, if a max bet is required for a jackpot, the pay table will always indicate this, so it is relatively easy to find out. You always have the choice to choose to bet on a small number of lines. The machines won’t get angry at you! Just note: when you lower the number of pay-lines, you decrease the hit frequency. For example, if you bet one or two lines out of 25, you might need to wait for many spins in order to win. Or, with a 25 pay-lines and 40 winning combinations, you will win on almost every spin by betting the 25 lines. There are slots, the most modern ones, where it’s not recommended to play with a non-maximum number of lines. This is due to the fact that the top jackpot has an increased value. For example: These modern slots with non-max bets give you 80%-92% payback percentage, while betting max with a big-enough-jackpot may result in 95%-100%+ average payoff. Ready to travel to this new country? We might find each other there!